Foster Lloyd Brown, Wheeling native, professor, and best-selling college textbook author, passed away Dec. 1, 2017, at Albany Medical Center in Albany, N.Y., of complications following heart surgery. He was 86. He was born May 26, 1931, in Wheeling, the eldest of three children of Rev. Durward Brown, minister at the Warwood United Methodist Church, and Dorothy Rine Brown, an author. 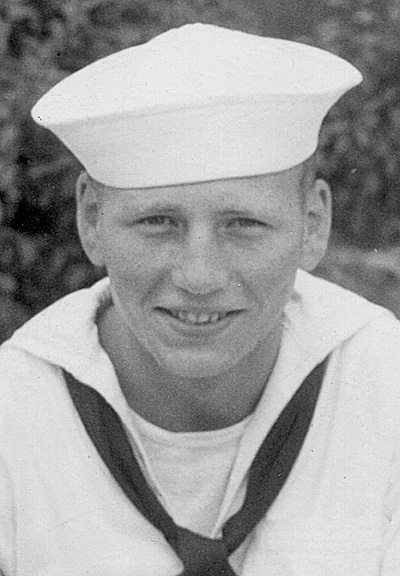 Upon graduation from Shinnston High School in 1949, he served in the Navy. Degrees included a bachelor’s in botany from West Virginia University; a master’s in physiology, also from WVU; and a doctorate in statistics from Cornell University, with post-doctoral research at Imperial College London. His co-authored book, “Statistical Concepts,” published by Harper & Row, became the world’s best-selling paperback textbook on statistics, according to the publisher. Teaching was his passion. From 1956-58, he taught biological subjects at Bethany College in Bethany, W.Va. He then taught anatomy to nursing students for Penn State at Guthrie Robert Packer Hospital in Sayre, Pa. While a graduate student at Cornell, he became a senior systems analyst for Cornell’s computer center in Ithaca, N.Y. In 1964, he became a professor of statistics in psychology at the State University of New York at Oneonta, where he taught a variety of subjects until his retirement in 1995. Following retirement, he taught during summers for another two decades as a professor emeritus, and served as faculty fellow for the college’s computer center. Students knew him as an entertaining and kind professor. He refused repeated nominations for distinguished teaching awards. He was a devoted husband, father and grandfather; lover of books, all things science, nature and future, history, bad puns, dancing, scuba diving, chess, Scrabble, music, theater, and Mel Brooks; and possessed an indefatigable optimism and enthusiasm for learning. He served on several community boards. He married first Barbara Feather, of Tunnelton, W.Va., in 1956, and second Rita Shulman, of Oneonta, N.Y., in 1981. During retirement he and Rita enjoyed traveling and family. He is survived by his wife, Rita; daughter, Celeste; son, Wendell; step-children Ginny, Paula, Emanuel, and Rebecca; grandson Charles Foster; step-grandchildren Michael, Anna, Hannah, Alex, and Michaela; his brother, David; niece, Laurie; nephew, Ahmad; and numerous in-laws. He was predeceased by his parents; sister, Mary Jane; and his first wife. He had arranged that his body be given to Albany Medical Center for research. A celebration of life will be held Sunday, Jan. 14, from 1-4 p.m. in the Fitzelle Atrium at SUNY Oneonta. Memorial donations may be made to the “Steven Edelstein Scholarship in Honor of Dr. Foster Brown,” online at oneonta.edu/give. Visitors are welcome to sign a guest book online at memorialwebsites.legacy .com/fosterbrown/ homepage.aspx.